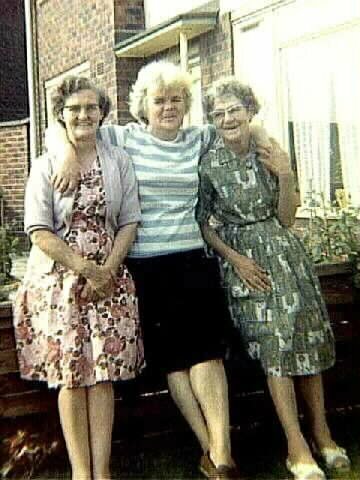 Rosella Peabody (nee Craggs) w/sisters in England. b. 12/18/1886 Sotckton-on-Tees, England; m. 12/24/1919 Gerard Peabody in Sidney, Australia; d.3/2/1971 Seattle Wa. Parents: Charles & Esther Craggs (Rosella is on Right). Sailed to the US on a freighter ship when she was pregnaut with her first child. Her and Gerard had three childern: Gerardine F.; Bernice L. and Gerard C. R.
During the war she worked at the Boeing plant in Seattle as a riviter on the Flying Fortress. Her and Gerard divorced and she was remarried once and divorced.